My name is Mia and I like potato chips. I mean, to be honest, it's more than like. I LOVE potato chips. When I was 4 and 1/2 and I had just started kindergarten, I tasted them for the first time. A child raised on dried green beans and dehydrated apple rings for snacks, I had no name for these crunchy bits of goodness. But I told my mom about them. Someone had them in their lunch and shared with me (this was before the days of peanut allergies, I guess). And could you please get them for my lunch? They were salty, kind of yellowish, round and crunchy? Know what I'm talking about? No idea, my mom shrugged her shoulders. Don't know what you're talking about. Oh, she knew. She knew exactly what I was describing, and perhaps how damned addictive they are. Well, there was no stopping me. Salt, no salt, ridges, ruffles, thick cut, kettle cooked, olive oil, they are so tasty. I am pro-potato, anti-fake chips (read: Pringles, o'lean products) or ick! 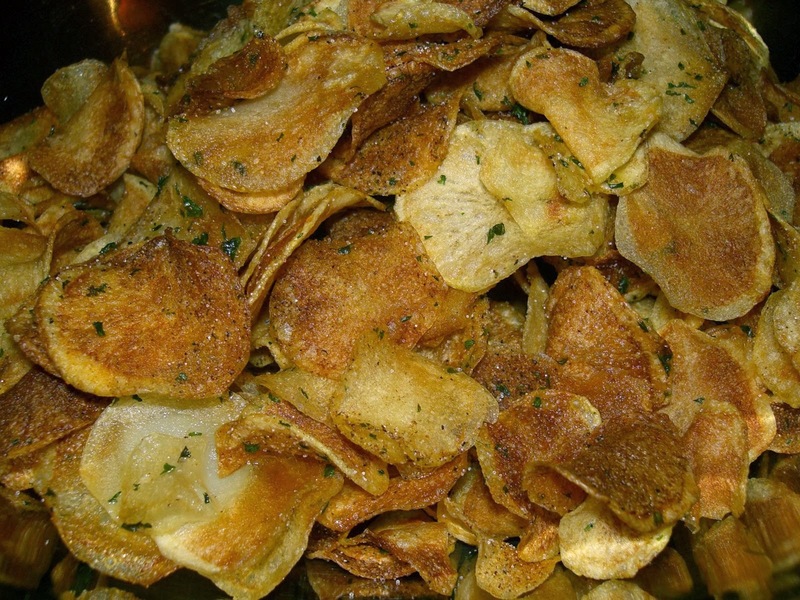 baked chips. 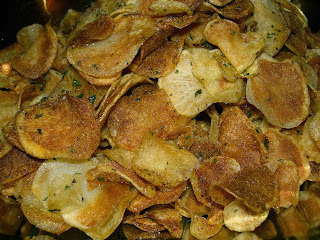 I believe there are times in our lives when the combination of oil, salt, and ever-so-thinly-sliced potato crisps can heal what ails us. Heck, even my nutritionist, back in the day of chemotherapy, told me that while they are not the most nutrient-rich food on earth (big shocker), if that's all I had an appetite for to go to town on those bad boys. You can have your ice cream. You can have your Belgian chocolates (except that last one in the pantry), you can have your cheesecake. *Will accept french fries, frites, shoe strings or fresh tater tots as acceptable substitutions.